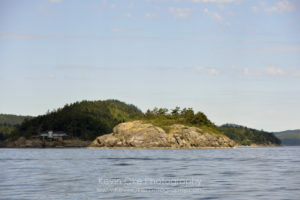 Blunden Islet is located off Teece Point on South Pender Island. This is an undisturbed islet with vegetation including Garry oak, arbutus and Douglas fir. The sensitive ecosystem on this islet is being protected and there is authorized access only. Pender Island is accessible from Swartz Bay (Vancouver Island) and Tsawwassen (Mainland, near Vancouver) through BC Ferries. BC Ferries provides service to the Otter Bay ferry terminal. Blunden Islet is boat access only.